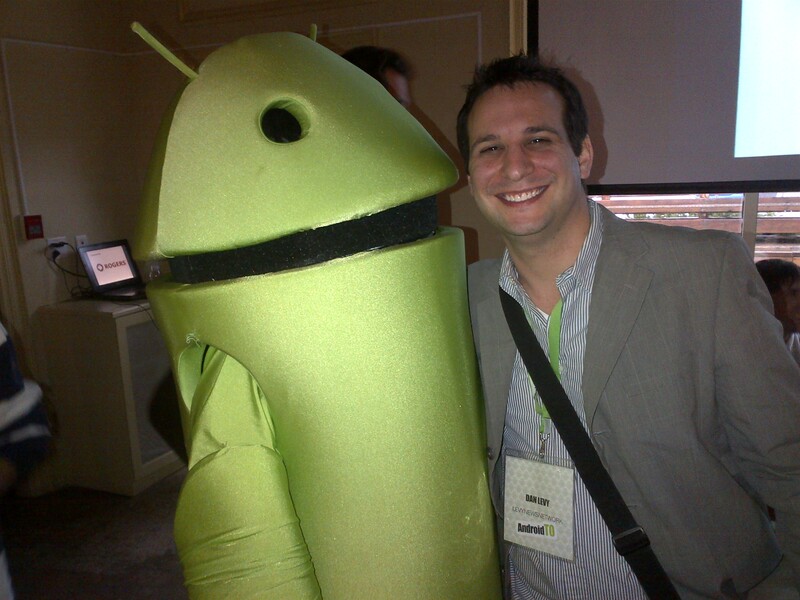 Like I said, I had a fantastic time last week at AndroidTO 2011. 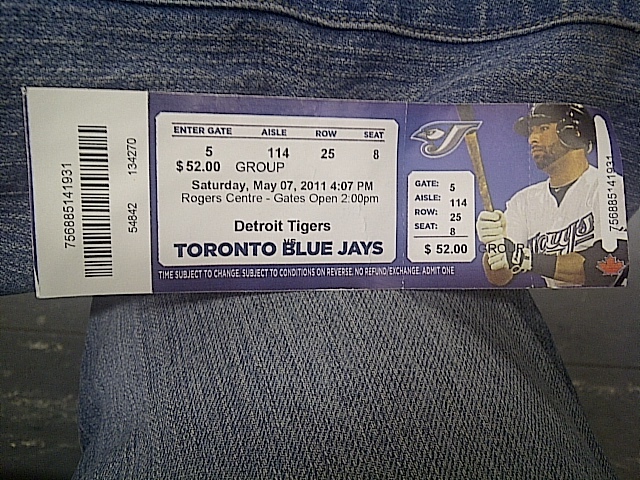 Tonight, I thought I’d share some pics from the day. 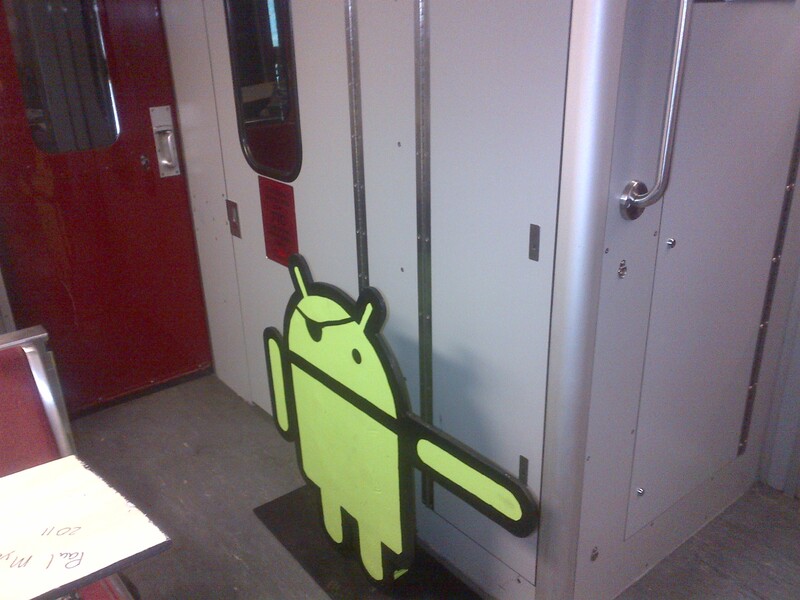 As you can see in the slideshow below, the Android mascot was a brilliant move by Google when they decided to give their mobile OS a friendly character to represent it as the mascot has now become a beloved icon. 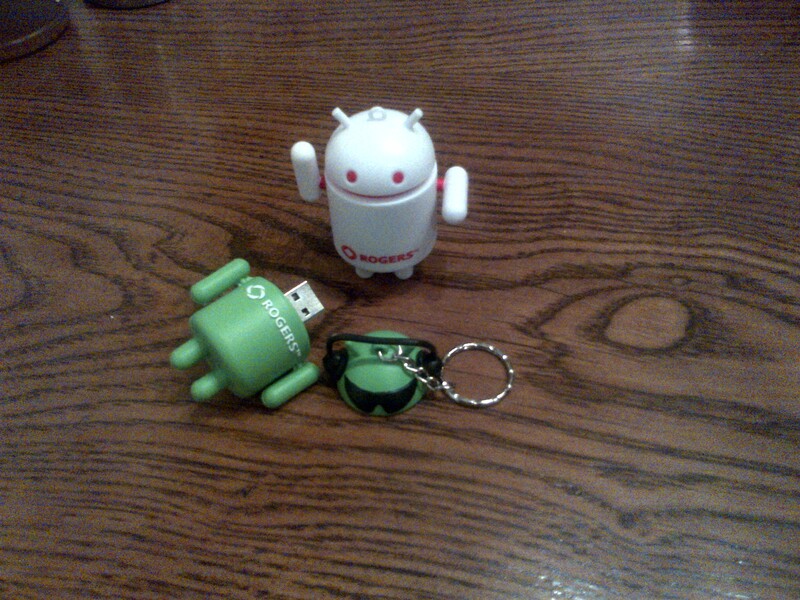 In my mind, it breeds a certain amount of familiarity with the brand to have a cute mascot like the Android. 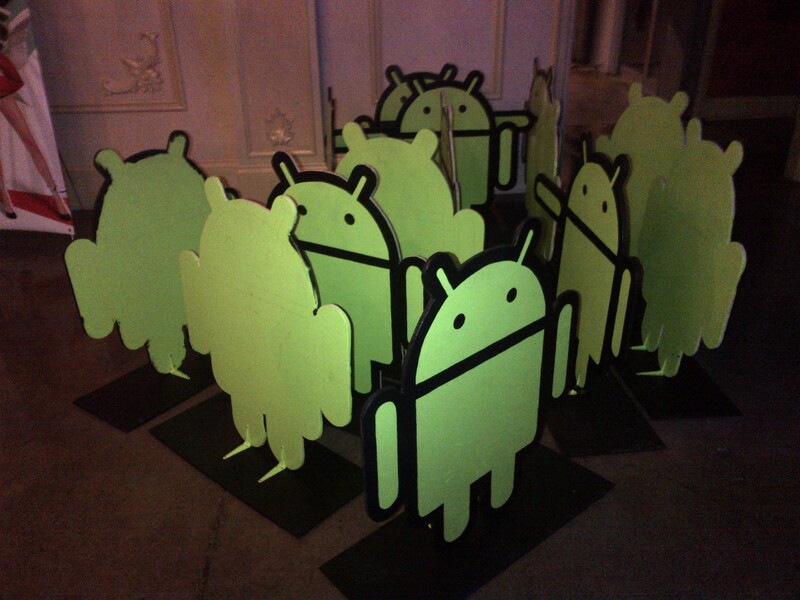 Think about it, when has there ever been a giant BlackBerry or Apple running around at those brands’ events? The brands themselves are too sterile to make people want to engage with them like that…and it’d just end up looking like a Fruit of the Loom commercial was being filmed. I don’t even want to begin to think what a Windows Phone 7 mascot would look like but if they tried to have a Mango (the name of the newest version of Windows Phone 7) we’re right back at that Fruit of the Loom commercial. 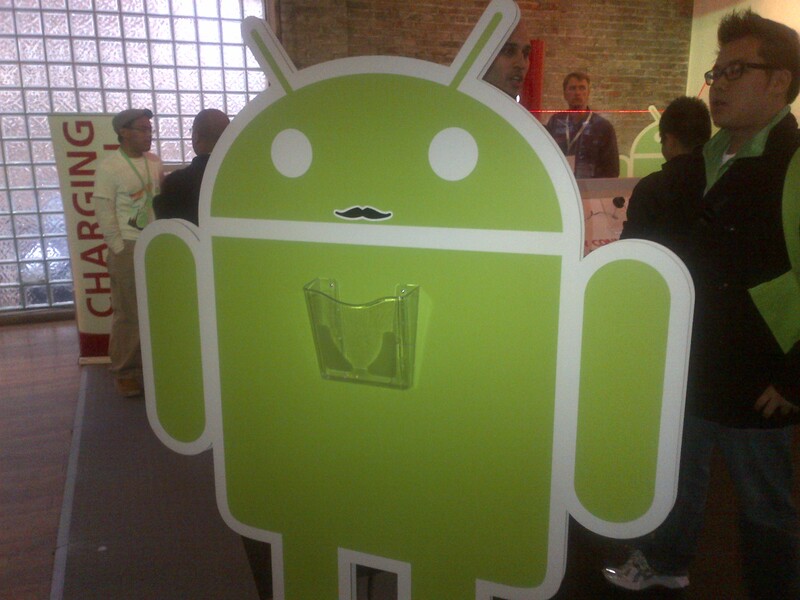 Come to think of it, what is up with mobile OS brands and fruit? 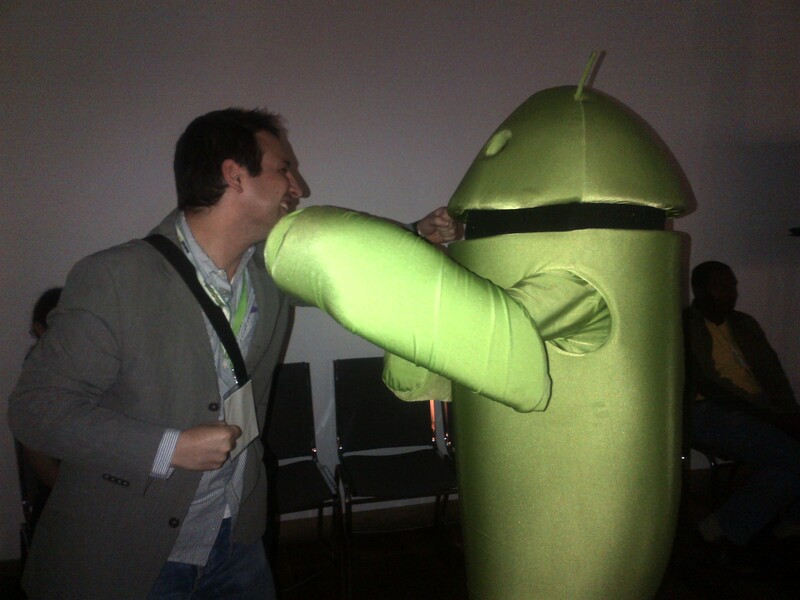 Me with the Rogers Android mascot at #AndroidTO…after our fight we made up and decided to hug it out. 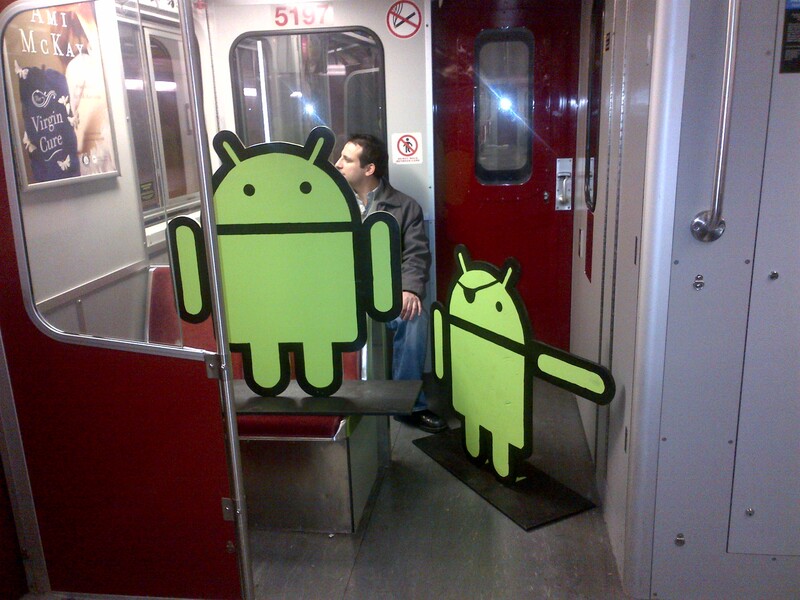 Two Androids riding the TTC post-#AndroidTO just like any other regular joe.